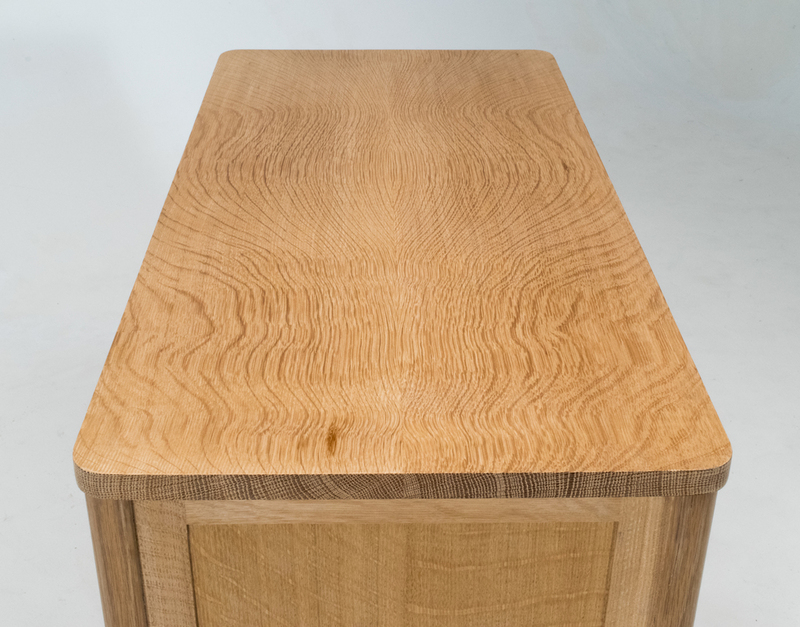 Tiger Cabinet 2015 white oak, brass 16"d. x 24"h. x 32"w.
The Tiger Cabinet is an homage to early 20th Century Mission oak furniture, which often featured the highly figured grain of quarter-sawn oak. It is built with a traditional frame-and-panel construction, and the panels themselves are reclaimed from a century-old bookcase. Though referencing furniture from the past, this cabinet's clean lines and minimal form give it contemporary relevance. It is ideally used as a sideboard, or as a cabinet for a collection of whiskies.